Vocabulary for students to use in class. 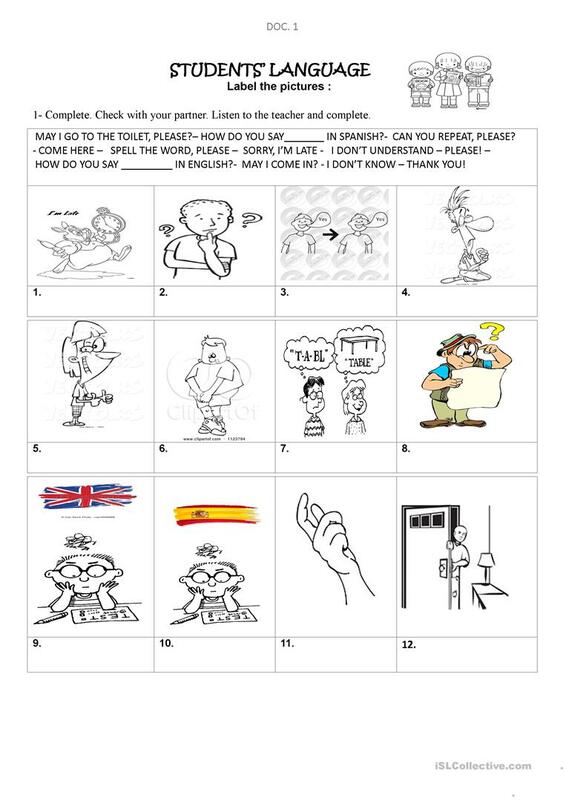 Sentences to facilitate communication among students and the English teacher. Asking for information, requesting permission, and so on. The above downloadable teaching material is intended for elementary school students at Beginner (pre-A1) and Elementary (A1) level. It is a useful material for revising Commands (imperatives) in English, and can be used for developing your groups' Writing skills. It centers around the theme of Classroom. MaricelRuiz is from/lives in Chile and has been a member of iSLCollective since 2013-08-18 02:51:51. MaricelRuiz last logged in on 2019-04-15 13:39:11, and has shared 7 resources on iSLCollective so far.